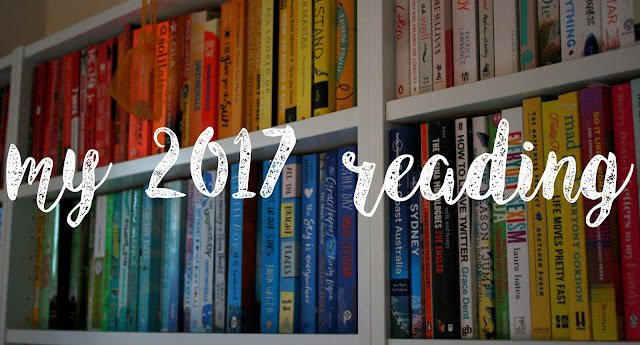 What I read in March 2017. | Almost Amazing Grace. What I read in March 2017. Welcome to this month's reading wrap-up! If you didn't know, I've been sticking to a schedule book-wise so far this year; choosing certain themes or genres - or publishers! Before the beginning of March 2017, I somehow scored an internship at Walker Books. So my reading theme for the month was adjusted accordingly! I have spent the past 4 weeks reading exclusively Walker Books, and let me tell you…they know what’s good. Okay, so I began the month with a bang – the most excellent and muchly loved Non Pratt’s new release, ‘Truth or Dare’. I was very fortunate in that I received a copy when I first started in the offices, but the proofs won’t be properly dispersed among bloggers and booksellers until a few weeks’ time. Sorry, folks! Trust me, it’ll be worth the wait. Non’s writing is second to none – especially her plotting and dialogue. She doesn’t lose focus at any point, you’re kept hooked in the whole way through, and her characters are gorgeous. Next up was ‘Subway Love’, by Nora Raleigh Baskin. I hadn’t intended to add this to my list, but I couldn’t quite resist it when I found it in the office. This story of 2 teenagers 30 or so years apart happening upon each other in the New York subway time and time again was too intriguing to leave on the shelf! I found the writing style quite relaxed to begin with, getting more urgent as the story progressed. I rooted for the characters and I wanted them to get there, to somehow find each other despite only meeting in passing, by chance, on the tube. I knew it was impossible…and that’s probably why I quite liked it. Between all these bigger reads, I read a lot of picture books. I mean, a lot. I’m already a lover of art and poetry and verse and ughh when that all comes together in a book? Magical. I couldn’t get enough. ‘A Brave Bear’, by Sean Taylor: the story of a father bear and his son, adventuring and learning together. My heart swelled considerably reading this. 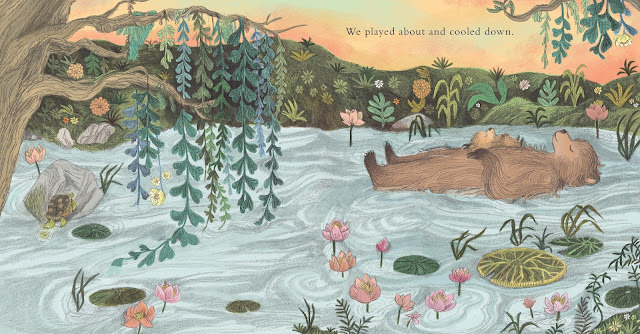 ‘Home’, by Carson Ellis: a beautifully simple yet deep read about the many homes – and many worlds – we can all be found in. I re-read it several times, just to absorb the beauty and the messages over and over. 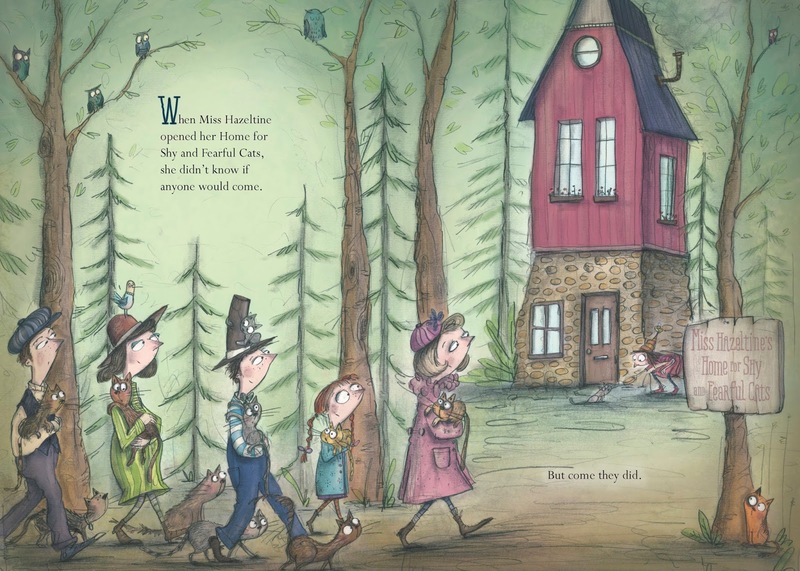 ‘Miss Hazeltine’s Home for Shy and Fearful Cats’, by Alicia Potter: cats with character, a kind soul taking them in, then the cats learning from her and putting their new skills into action when the worst happens. Charming af. And now, my friends…it happened. Finally. At long last, I read ‘A Monster Calls’. Yep, I know what you’re thinking – what took me so long!? I didn’t even see the film because I was so desperate to read the book first. I'll be honest, I put it off mostly out of fear that I wouldn’t enjoy it. And, well, I did. Very much. It really was moving and powerful and magically real. It made me whimper on the tube as I finished it travelling to work one morning. Conor’s journey – his happy past and his uncertain future, both being tested by his hideous present – was stunning and heartbreaking to read. The C-word and its effect not only on the sufferer but also those surrounding was beautifully, delicately – painfully – written about. I was hoping, right up to the last page. Now, as we speak (or y'know, you read and I write @ you) I am reading 'The Strange and Beautiful Sorrows of Ava Lavender'. It was a recommendation from that ever-excellent author/editor Kasim, and goddamn as always he was right on the money. I was put off at first by the historical aspect of it, but eventually the lyrical lovely prose won me over and pulled me in. It's intense and astounding. I am fascinated by this story of the girl who was born with brown speckled wings - and the peculiar, gorgeous, deeply troubled family she was born into. As you can see, my 5 weeks at Walker have been very beneficial to my shelves. The annoying thing is there hasn't been as much time to read all the books I'd originally planned to read! So they'll have to wait until another month, when they fit a different theme perhaps. No big deal. Now, it's time to reveal the winner of my March giveaway! After over 250 retweets, I am so happy to announce the lucky human who's scored themselves an exclusive proof copy of Non Pratt's 'Truth or Dare'. This month my bookish #giveaway is a super exciting YA proof...TRUTH OR DARE, by @NonPratt! It's @bookswithjane! Congrats, my dear. Please DM me on Twitter with your address etc so I can send you the proof. Thanks to everyone for entering the giveaway - and for your continued support for and interest in my monthly reading posts. It means the world, and keeps me from slacking on my schedules! And thank you to Walker, for having me in your digs for the best part of 5 weeks. It's gone by in a blur of enquiring emails, conversations over coffee, wonderful words, inspiring illustrations and many mad mailings, but it's been an invaluable experience and I appreciate that you offered it to me. Also, your books are well good. Your internship at Walker sounds amazing :) what a wonderful publishing house to work with, they're all such gems! I'm so glad you read and loved A Monster Calls, such a classic. It really was! Thanks for reading, cutie. I was grabbing up more books to try out every day I was there! And yes, I'm sure they can spare a copy for you, just ask to be on their list and hopefully they'll have room. Or I think some giveaways are coming up soon...I'll keep an eye out!